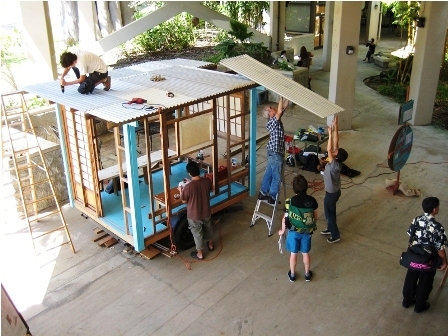 The Norae Shanty Hawaii was a project created while on artist residency at the University of Hawai’i through the Intersections Visiting Artist program. 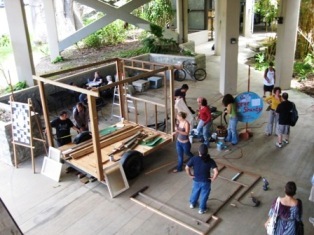 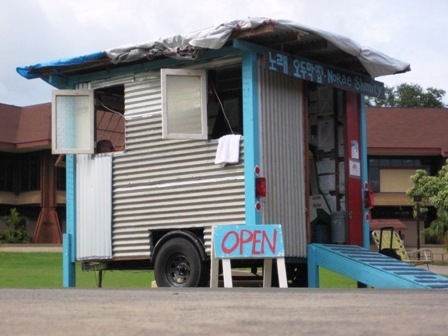 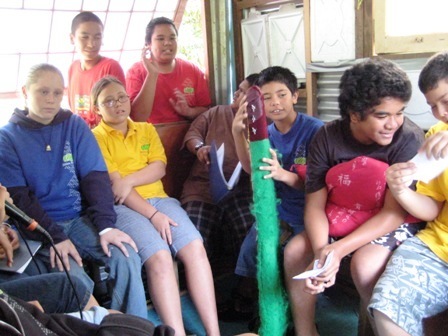 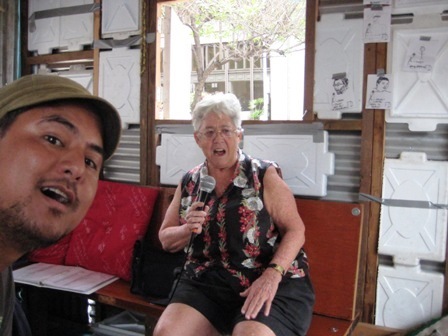 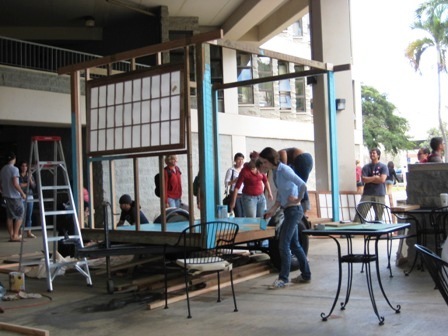 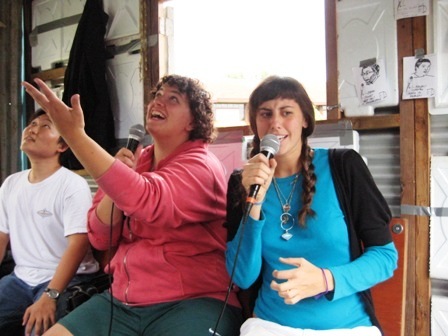 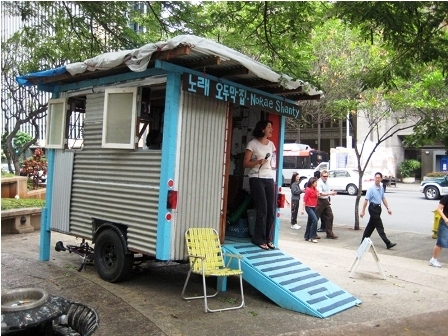 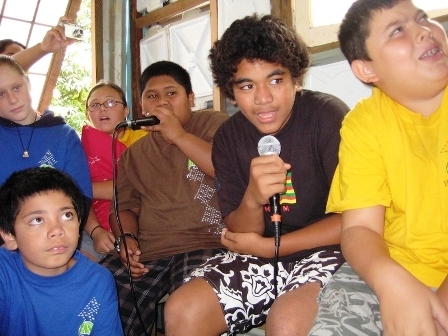 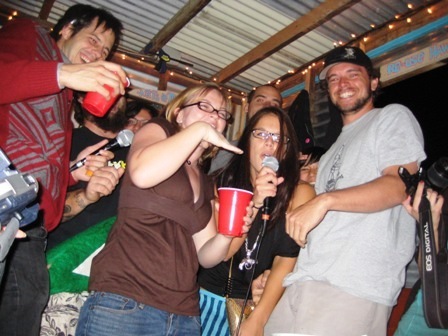 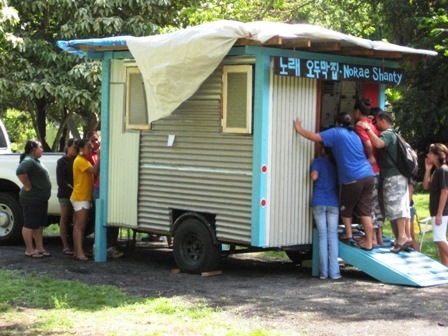 This project involved working with students and UH faculty to build and co-facilitate a mobile Norae Shanty which engaged public audiences throughout O‘ahu. 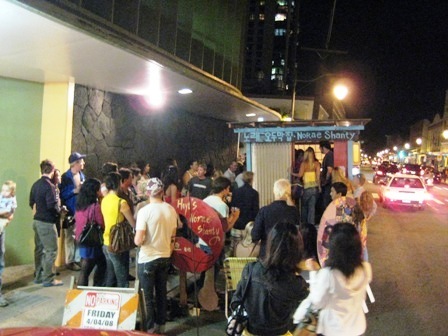 This installation provided locals and tourists alike an opportunity to share in the unique cultural exchange as it toured various public venues throughout Oahu. 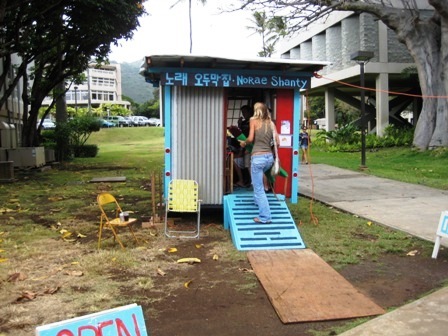 These sites included; Chinatown Honolulu, the Fort Street Market Honolulu, Halau Ku Mana Native Hawai’ian Charter School, the Arts At Marks Garage Honolulu, and the Kapiolani Community College among others.